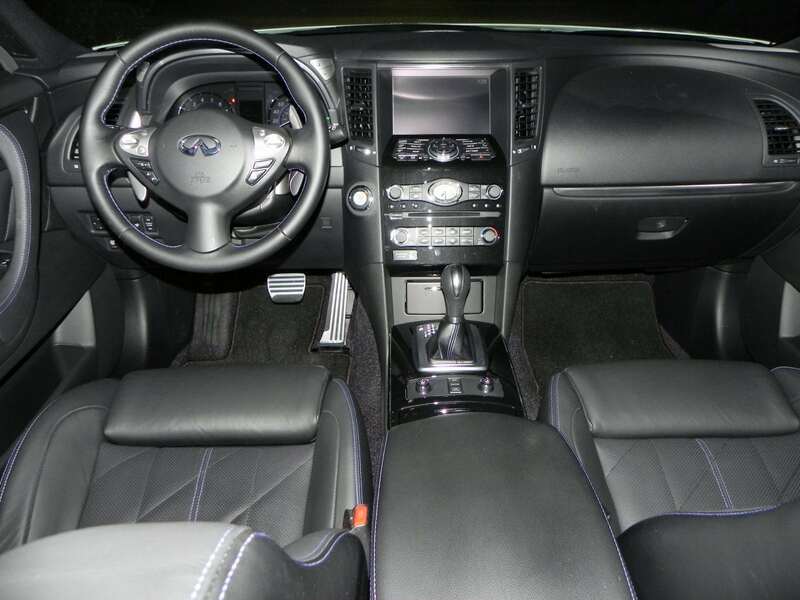 The 2015 Infiniti QX70 is a luxury crossover that focuses on sport, with luxury coming second. This isn’t a bad thing, it’s just a matter of where priorities lie. 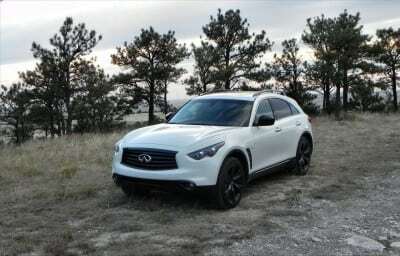 For buyers of the QX70, priorities will obviously lie with sports handling and performance. In that regard, the 2015 QX70 delivers very well. 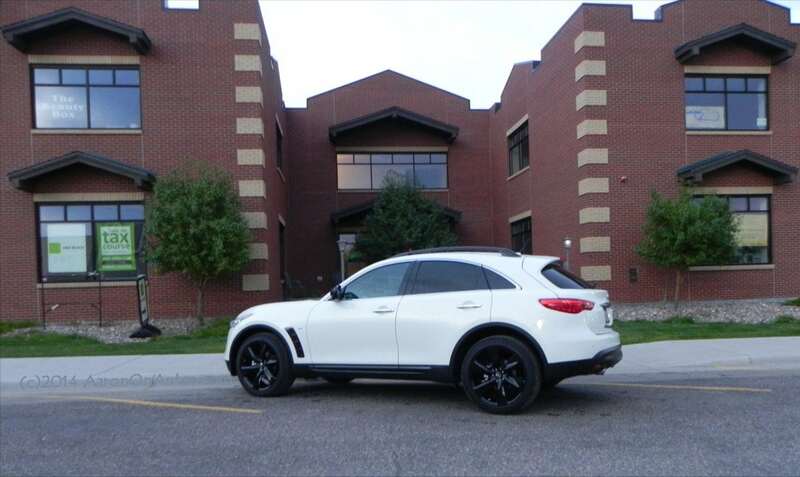 The 2015 Infiniti QX70 is very stylish, there’s no doubt about that. It’s a smallish crossover that leaves no doubt to the onlooker that it’s both sporty and luxurious. The flowing style and small, greenhouse with a low roof all say, on no uncertain terms, that it goes fast. The heavy shoulders above the front wheels and the low hood also promise excellent handling. 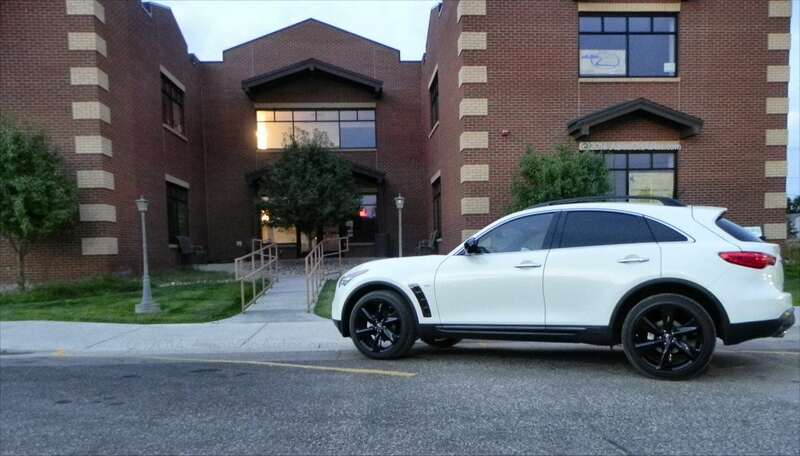 On the inside, the QX70 continues this trend with a lot of style and great looks as top-shelf materials adorn the interior, which focuses heavily on the driver’s seat. 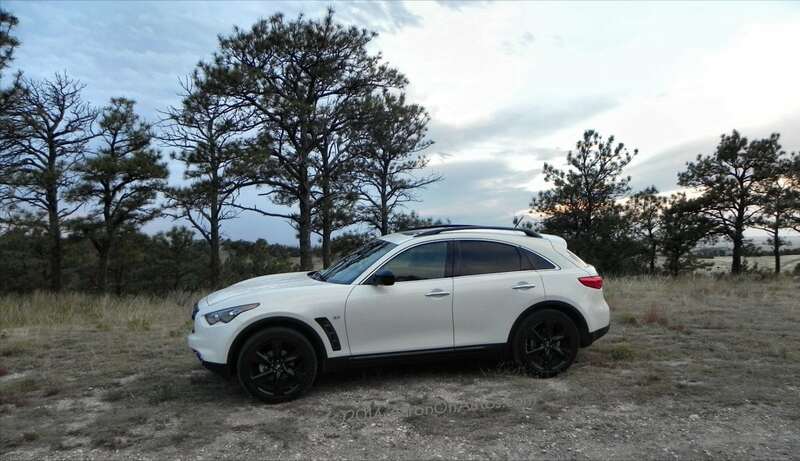 Outside of the sports focus, the 2015 Infiniti QX70 is a quality crossover that has a few quirks compared to others, due largely to that attention to sport. 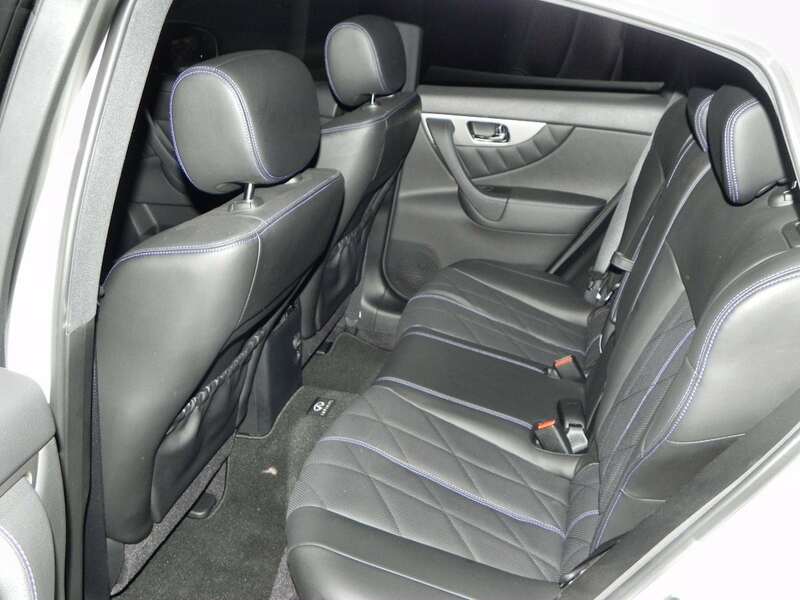 The interior is relatively small, with somewhat cramped back seats and a small cargo space. 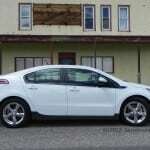 The suspension is stiff, so much of the road is transmitted into the cabin rather than being absorbed. Fuel economy is also lower than some might expect. These drawbacks are all livable if the buyer of the QX70 wants it for what it’s for. 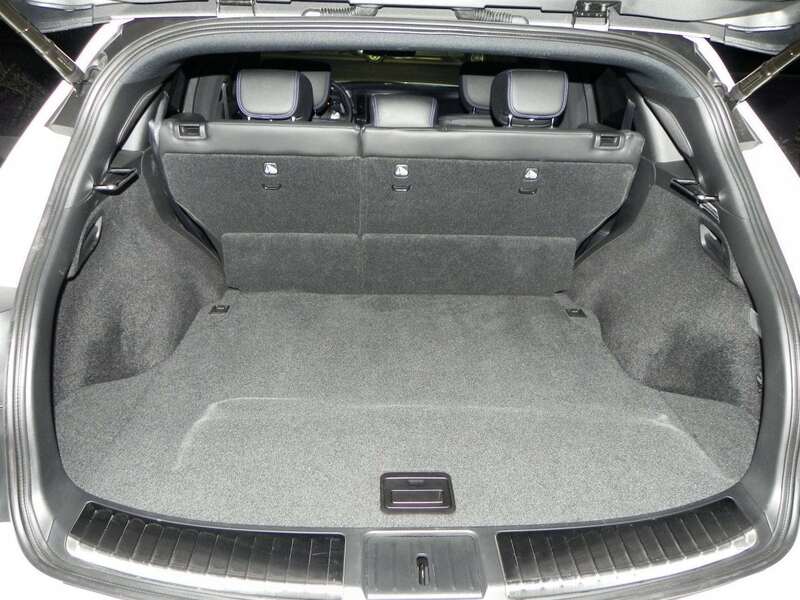 There is only one trim level for the QX70, but a few packages can add to the impressive list of base equipment. 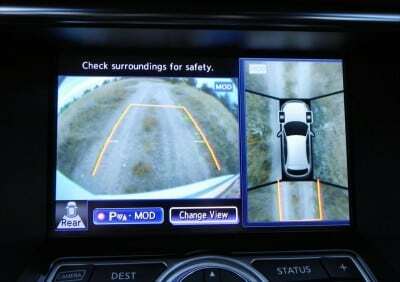 The Premium package adds aluminum roof rails, driver memory settings, and the Around View Monitor for parking and backing out of tight spots. A few other items also come in this package. 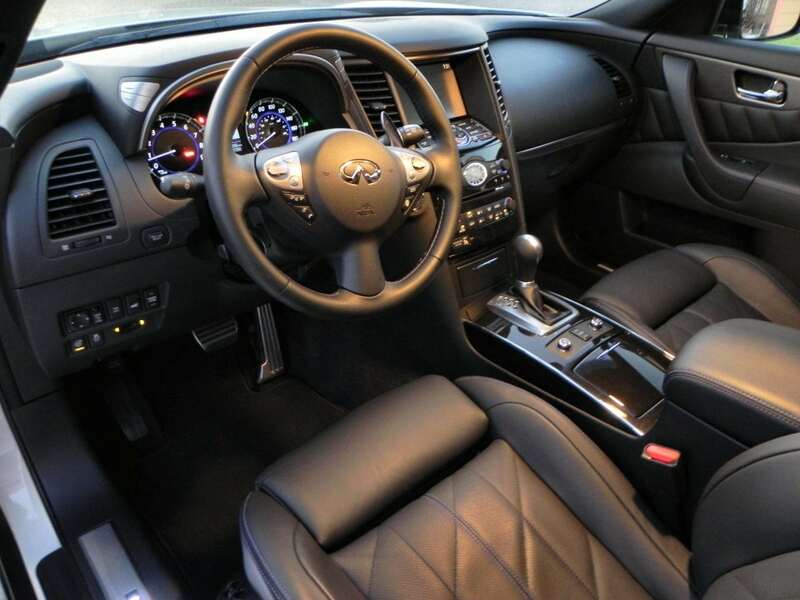 Adding on the Deluxe Touring Package puts on larger wheels, quilted leather upholstery, ventilated front seats, aluminum sport pedals, and maple wood trim. The Technology Package adds to the Deluxe Touring to give tech additions like navigation, automated wipers, adaptive cruise, forward-collision mitigation, and lane-departure warning and prevention. 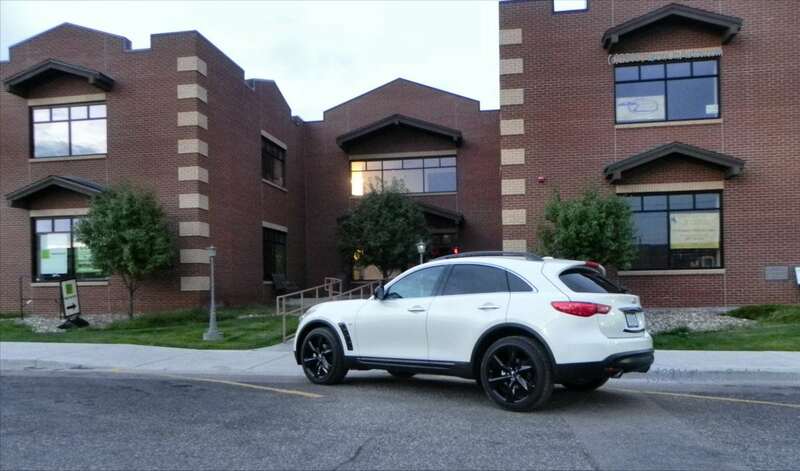 A Sport package can be added to any of these to give larger wheels (21 inches, as we drove it), adaptive xenon headlights, dark-tinted exterior trim, and a lot more bling. 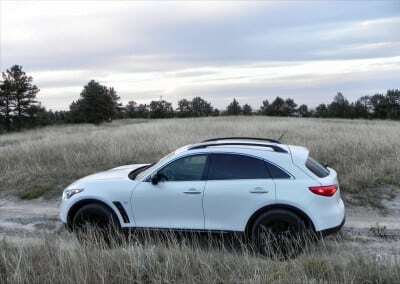 In previous years, the QX70 had sported a V8 engine option, but that’s been dropped for 2015. A V8 in this size of crossover would be glorious overkill, however, and the V6 it now heralds is not only proven, but delivers nicely on the get-up. 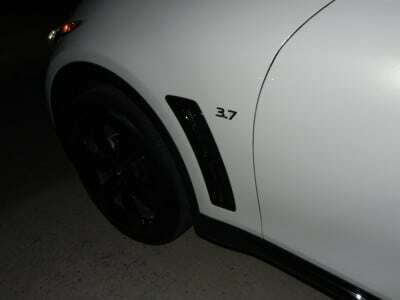 That 3.7-liter V6 features on a lot of Infiniti vehicles, producing 325 horsepower and 267 lb-ft of torque. 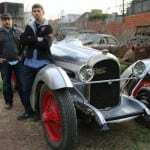 This runs through a seven-speed automatic transmission that can be shifted manually. Rear-wheel drive is standard, all-wheel drive (as we had it) is optional. In that AWD model, our best 0-60 mph time was 6.7 seconds. Other outlets have tested it closer to six seconds. Towing capacity for the 2015 QX70 is 2,000 pounds, which is enough for a small trailer and perhaps a tent trailer, but not much else. 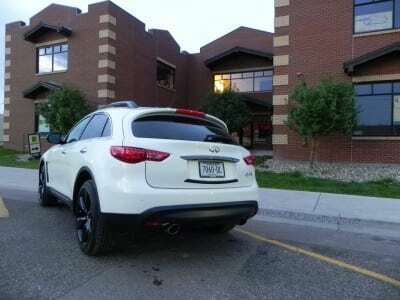 Those who purchase a crossover like this are not likely interested in towing anyway. Outside of the sport focus and style of the exterior comes the interior’s fit and finish, which rises from great to excellent as the options are added. We drove the top-most fitting for this vehicle and it was beyond magnificent in its offering of style, comfort, and luxury. 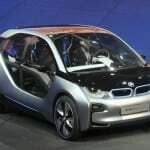 As befits a vehicle of this type, nothing in the interior is cheap-looking or out of place. Seating for the driver and front passenger is very well done, though the Sport seats we had were a bit stiff on the road outside of performance driving. During performance use, though, these seats were invaluable for their hugging, keeping the driver in position at all times. For everyday use, some who prefer more comfort to their ride might prefer the non-sport option. The second row is comfortable, but can be cramped if the people up front are tall. Head room is a bit low as well, though anyone up to about six feet in height should be OK. Children in car seats are perfectly fine back there too and we took advantage of that to make this a family fun machine for the week. Cargo space is limited in comparison to some others in this class, mostly because of the overall design of the QX70, which tapers in the rear and the wide rear wheels infringe into the cargo area as well. For most needs, though, it’s more than usable. Our impression of the 2015 QX70 was good overall. 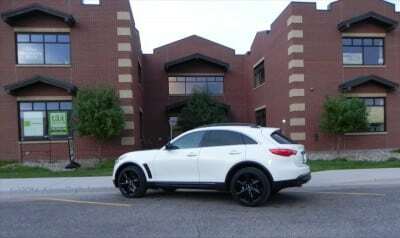 On the road, in daily use, this sport crossover is well-mannered and sure of itself. 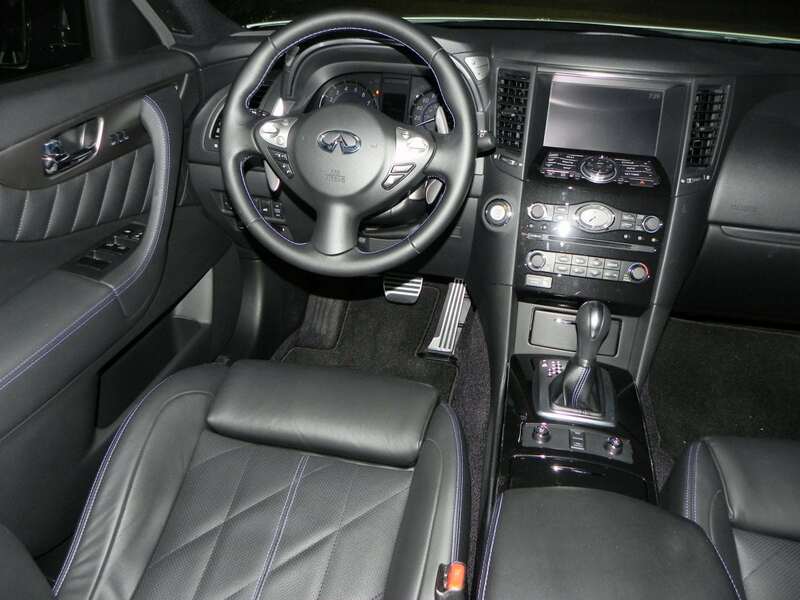 Steering is tight and precise, but the ride is a bit stiff for those who are used to more cushioned comfort on the road. Road and highway noise is well-dampened. 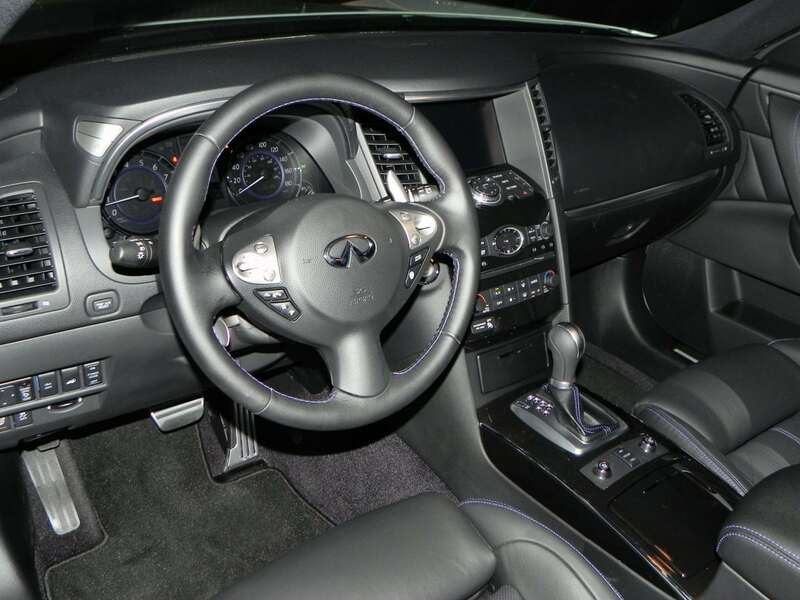 In sport driving, the 2015 Infiniti QX70 is superbly ready. That tight turning and stiff suspension do an excellent job of conveying confidence to the driver as the QX70 powers down the straight or sprints around the corner. 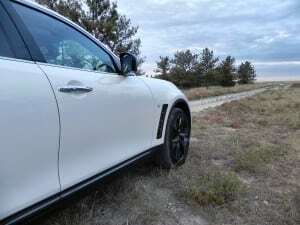 Being a crossover, of course, the QX70 is somewhat top heavy, but handles itself well when the driver learns its limits. 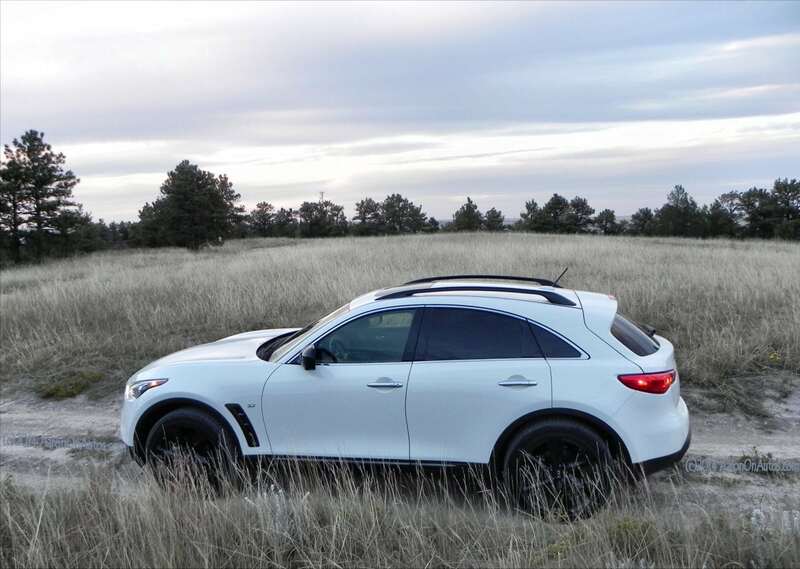 Off the pavement, the 2015 QX70 is best suited for dirt road use and nothing more harsh. Its lower clearance than some crossovers and big wheels are not conducive to serious offroading, but on dirt, slush, and snow, it does well. Our time in the 2015 QX70 included some dirt track driving and it was a fun mix of sport handling and AWD prowess for that. Obvious competition for the QX70 are the Audi Q5 and the BMW X3, which are comparable on all fronts, so choice will depend largely on taste and exterior style. Slightly larger, but just as sporty crossovers like the BMW X5 and Porsche Cayenne are also similarly priced. 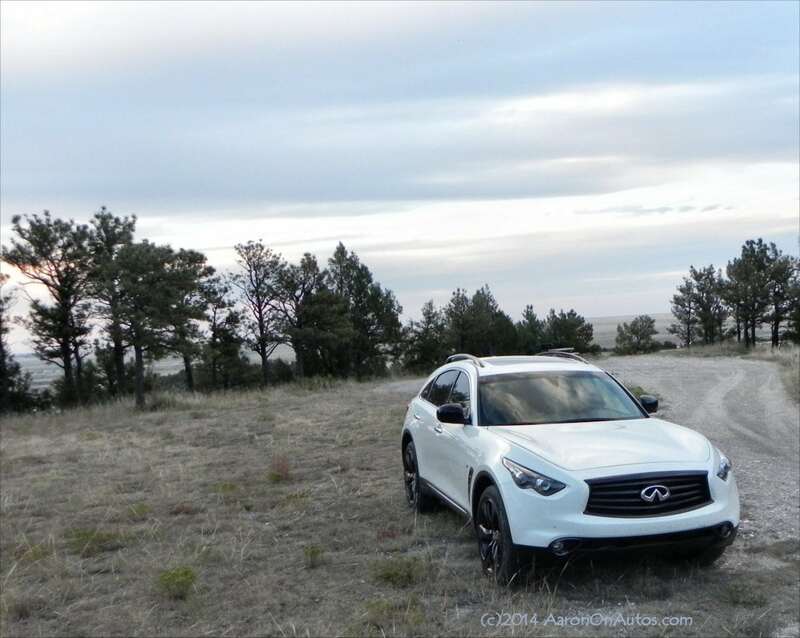 The 2015 QX70’s greatest strength is in its bold style, which stands out from this crowd of luxury sport crossovers. Very stylish with a bold look. Sporty and responsive to drive. Interior not as roomy as some others. Sacrifices some luxury ride quality for the sport handling. 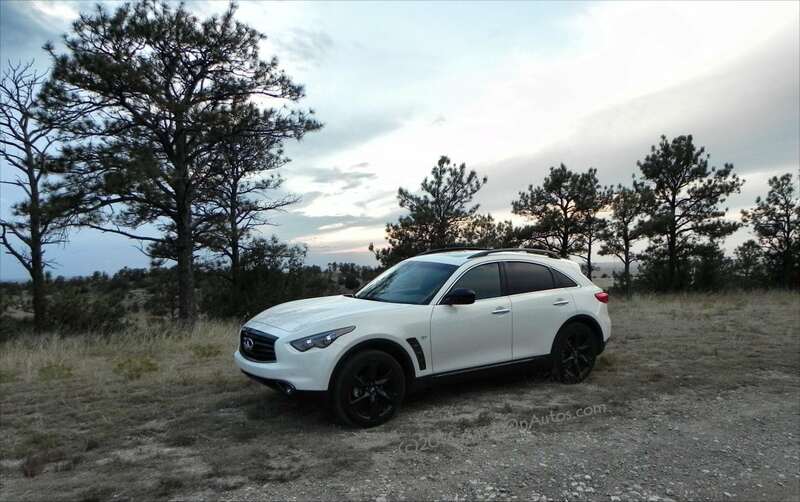 For those who want a sporty vehicle and the utility of a small crossover, the 2015 Infiniti QX70 fits the bill nicely. 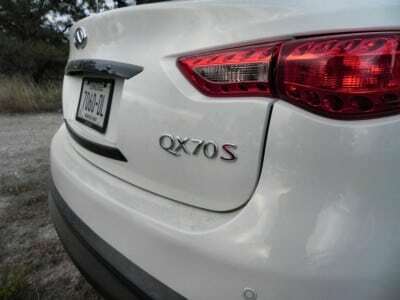 Though there are some competitors that can match it on those fronts, none have the distinctive style that the QX70 flaunts. The QX70 was a manufacturer’s press loan for about a week. 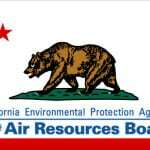 During that time, we put 382 miles on the vehicle with various passenger loads and under various driving conditions, including freeway, in town, and off pavement.